Here at Bosinver we’ve always been advocates of outdoorplay – our 30 acre farm allows guests to freely explore our woods and lake area, discovering the delights of watching dragonflies and birds, flying a kite or doing roly-polys in the fields. If it’s more active outdoor activities you are after then there’s our zip wire and rope swing – guaranteed to burn off some energy! Our Wild Kids club sessions with Forest School Leader Tatum give children chance to try out a range of outdoor activities and discover nature for themselves. We believe time playing outdoors and having adventures is well spent, whatever age you are, but it’s particularly important for children’s well-being as many recent studies have shown. Our passion for reconnection with nature won us a special award at the 2014 Cornwall Sustainability Awards – watch our entry video here. We loved taking part too in the recent ‘30 days wild’ campaign by the Wildlife Trusts – it was the perfect excuse for us to take some time out ourselves each day to do something ‘wild’. 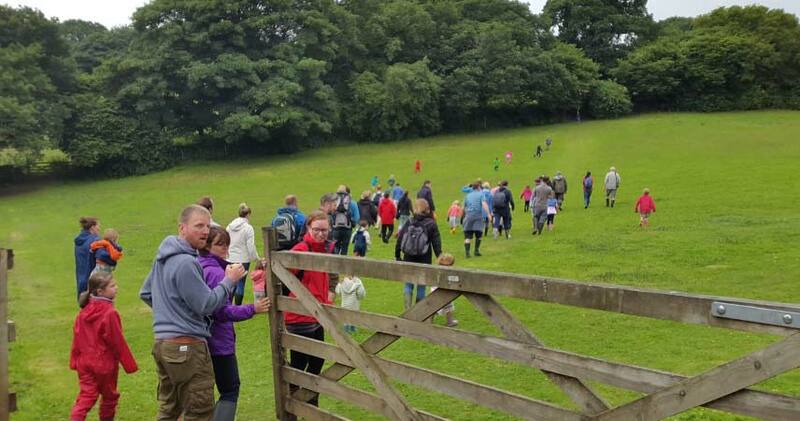 The Trusts’ just asked that no matter where you are or how busy your life that each day in June people made time for nature and got outdoors to experience the beauty of the natural world. We are always looking for ways to make our Wild Kids sessions even better and more nature focused and recent activities have included bug hunting (and putting them back carefully! ), clay creature modelling and making bashy bunting flags – as well as the usual fabulous muddy play and campfire marshmallow toasting. Who knows what new adventures we’ll have at this year’s Wild Kids sessions?